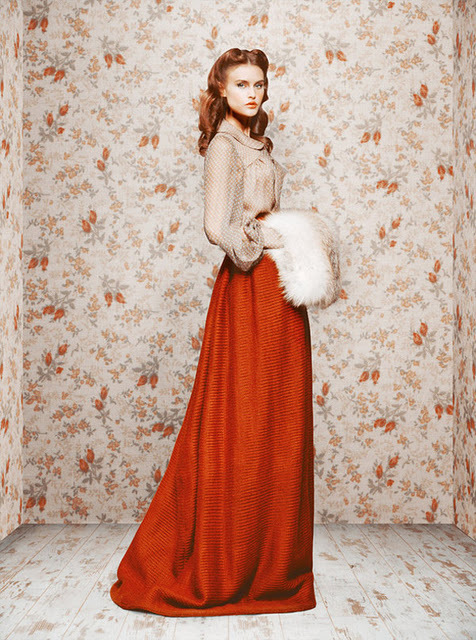 i have just come across these gorg fashion photos of designer Ulyana Sergeenko found through livefastmag. The clothes, the model and her hair, the wall paper are quite divine. The shoes aren't bad either. wow- these are such gorgeous clothes. very fairy tale ish. i love your finds! also really admire your christmas card designs... you are very creative and i can sense a good retro illustration vibe going on! Hi Melissa. these dresses are beautiful, and thank you for your comment on the cards you are so kind.